In response to a question from the Cygnet Association at this evening’s council meeting HVC General Manager, Emilio Reale, explained that the surveyor will only be preparing plans for the subdivision of land adjacent to the Cygnet Medical Centre. The “road lots and open space titles” referred to in the agenda are elsewhere (Geeveston). This is good news as it is now clear that there will be further consultation before proceeding with any development of this site. Here are screen shots of the information given in the Agenda and Attachments that led to the misunderstanding. COMMENT: We can only presume that the surveyor that they have engaged is working to the HVC plans (see below). There has been no further community consultation since the “concept plan” was presented in December 2018. Do Councillors even know that this is happening or is it a staff initiative? HVC’s planners have prepared this “concept plan” for the “Old School Farm”/ HVC Depot land. The Cygnet Association expressed disappointment and reiterated that it would be better to have a plan prepared by outside planners and was told it was simply a “concept”. Cygnet Association members presented HVC with the outcomes of our community consultation and requested that HVC engage professional and independent planners such as the award winning planners “Inspiring Place” to conduct further consultation and prepare more detailed plans The Cygnet Association offered to pay 1/3 of the costs, Bendigo Bank indicated that they would cover another 1/3 if HVC engaged the planners. Commissioner Taylor suggested that plans prepared by a group such as Inspiring Place might “raise community expectations” and rejected this suggestion. HVC GM Emilio Reale suggested that HVC planners could prepare a concept plan for consideration. Huon Valley Council (HVC) owns approximately 4ha / 10 acres of vacant land, right in the heart of Cygnet (behind the new Medical Centre in George Street). This was previously the Cygnet Area School farm. Currently HVC and ratepayers get no income or significant community benefit from ownership of this valuable land. It may even be costing us money. In 2003 plans were drawn up for a 31 housing lot sub-division and then in 2009 new plans were prepared for a combination of 13 housing lots and 18 pairs of con-joined “independent living units”. For various reasons nothing has happened. At the recent community forum held in Cygnet the HVC general manager, Emilio Reale, suggested that, rather than council proposing plans for this area, it might be better if the Cygnet community propose the ideas and suggested that we start with a “blank page”. The Cygnet Association (Inc) decided to take up this challenge but we acknowledge that we do not represent the entire Cygnet community and are simply part of it. In April we ‘letterboxed’ every house in the township and advertised for 2 weeks in the Cygnet Classifieds and Huon News to let the community know about the consultation. We asked anyone and everyone who has an interest in the future of our township to give some thought to how the land could best be used. We invited submissions to our website and also conducted a “walk and talk” session on site. This was reasonably well attended with over 30 participants and generated some lively discussion. Over a period of 3 weeks over 50 submissions were posted. These were anonymised to prevent any conflict and remove (as far as possible) personality considerations. In early May we held a display of all the submissions in the Supper Room and invited the public to comment on them. Each of the 141 participants was given 5 stars to award and “post it” stickers were available for written comments (see PDF below). Since then we have discussed the possibility of engaging the consultant planners “Inspiring Place” who developed the Cygnet Township Plan in 2004 & 2009 to consult further and develop a concept plan for the area. The suggestions and comments made during the initial consultation are available below. When making suggestions please consider the context displayed below. Recreation? Housing lots? Nature trails? Affordable housing? Eco-village? Shopping centre? Community garden? Townhouses? Green space? Independent living units? Co-housing development? Permaculture village? There are lots of elderly, wanting to downsize, to smaller homes, or units. Who do not want to move away. Could have a park like development around it also. I still have the plans, that the council draw up years ago. Perfect, for this use of land. If a big housing development went in, it would ruin the township. 9. I’m interested to participate and collaborate in discussions regarding the Old Cygnet Farm land and to contribute towards any formal proposal to Council. I would like to contribute to a vision that incorporates a sustainable, affordable and inclusive housing model that may also incorporate (or be incorporated by?) a Neighbourhood House/The Cygnet Hub perhaps? Could we also consider income/employment streams such as Airbnb units (which might encourage some Council actions in this area?) or other progressive opportunity? Could the housing implement innovations such as Small Homes or be Modular to accommodate various family structures? I would like to suggest the development of a heated community swimming pool with separate shallow area for children, mixed-use rooms to hire, a cafe/kiosk, a sauna, a playground and a nature trail in the grounds. To contribute funding to the development I suggest selling a portion of the land for private development. Remedial classes for the community’s elderly and infirm who may find the distance to huonville and kingston swimming facilities too far. Local swimming classes and activities for Cygnet schools. For most this would be a short walk to the pool. Is an inexpensive and convenient winter activity in a heated community pool. To offset running costs a small cafe/kiosk could provide snacks and hot beverages and mixed-use rooms for hire would provide something extra over other options in town e.g. a swim after a fitness class. One of the mixed used rooms could even be fitted out to use as a gym. A local heated pool, sauna and nature trail is something that could become part of the daily routine for many members of the community. Whether that’s laps before work, a sauna to relax and get the blood circulating on a cold winter’s day, another activity for parents and children, or a daily walk through the nature trial to clear the mind. For visitors it would be another reason to visit, explore the region, and perhaps stay. An affordable pool would provide something of continuing value to the mental and physical health of the whole community, and a necessary asset for the region. Given the size of the site only a portion would be needed, leaving the remainder for other developments such as aged care housing and a dog exercising area. 12. To the great TCA would like to thank you all for doing such a great job and in keep us informed. Would just like to suggest re the vacant land behind the new medical centre we would like to see it as housing following the 2009 plans, it would certainly help with the growing population and it is so central to the centre it may even encourage more buses. 13. It’s Council land for the use of the community…. not land to be broken up and sold in parcels to private owners, irrespective of its end-purpose. incorporation of solar-powered lighting for the garden and stage. If this vacant land was instead used for housing, the above issues would be more difficult to implement without creating such a space well out of town, or buying private land at commercial value. We live here because of the small village and the uncramped lifestyle – not a small town filled with housing. The last thing I feel we should be doing is building more dwellings right in the middle of town. Spread things out and incorporate new green spaces between the small estates of houses/units. Establish these estates a little further out from the middle of town. 14. I am a ratepayer in Cygnet and would love to see a beautiful park and running water over rocks like a brook using a pump to recycle water. I agree with the philosophy of healthy parks healthy people. I have seen some great parks in Qld. A water theme and Japanese type setting with small bridges and wide paths for pushbikes and walkers/joggers together. Tall trees for shade and beauty, evergreens and natives for birds and bees!! A park with a slowly undulating walking tracks …. 17. I think it should be something for the community. A good quality aged care facility. With an aging community, we will need this in the future and this land is flat with easy access to the town and facilities. It would be ideal for an age care home. Low cost housing would also be good. It could help house both aging people who need to downsize towards end of life and also people who for social reasons require low cost housing. 19. The land could be divided into three main areas. The top ( I think NW end ) could be developed for town houses, probably 10-12. The central part could become a purpose built conference centre, with a main conference hall, break out rooms and a kitchen to allow onsite catering. If the surrounding land was well landscaped, this could form parkland which would add areas for outdoor festivals such as the Folk Festival and Le Weekend. Most of the town houses could be sold to recoup the development costs. Two to three should be retained to allow accommodation for visiting conference speakers or attendees (at market cost). The bottom bit ( SE I think) could be developed as an indoor pool and sports centre. This would be close to the Health Centres and help encourage healthy living, the prescription of appropriate activities and hydrotherapy/physio sessions, weights, pilates yoga etc and support the Council’s Health and Wellbeing Strategy. People may say that Cygnet already has meeting places and outdoor parks. However, the meeting rooms need renovation and upgrading and the parks are too small. A conference centre would take the pressure off existing places and allow them to be closed during improvements. After their improvements, they could provide for exhibitions, varying activities and possibly a new home for the museum. 20. I would love to see a project that involves sustainable building, a true community garden, nature playground etc. An eco-village would be awesome! Precious Plastic have put together the blueprints and all the information needed to build a plastic recycling plant in a shipping container… It’s a totally awesome idea and one that’s doable with some grants or fundraising. The blueprints etc are completely free. Not only would such a facility help deal with our ever-growing problem of plastic pollution at a local level, it would set an example for other towns across Tasmania. Having a dedicated place to take your plastics would also encourage people to pick up rubbish around the town… knowing that it would then be turned into something useful. Maybe we could include some sort of token system where kids (or anyone) could collect plastics, put them in the disposal unit and get a ‘reward’ in the form of tokens that can be exchanged for some of the goods produced. My 12 yr old daughter for one would LOVE to do this. This set up of this project would require a few skilled people, but the biggest problem – HOW to do it – is all there for free at Precious Plastic. Once set up it could potentially be run by volunteers. Anyway, thank you for your consideration. I have been wondering for a while how and where such a facility could be set up and now I see a little glimmer of possibility! Also: include a food forest please! Loads of fruit and nut trees… there could be grape and kiwifruit vines, avocados even… mmm. 21. I think we owe it to the town’s old folk to make sure they are taken care of when they decide to downsize and look for smaller places to live. A perfect example is my old neighbour who has lived in Cygnet his entire life. This is his home – he doesn’t know anywhere else. The idea that when he is forced to leave his house to something smaller and more user friendly will result in him having to leave his hometown is heart-breaking. I am acutely aware that Cygnet has undergone some big changes over the last few decades and sitting quietly in the background are the old folk who have graciously watched their town be taken from them in some regards. They are an untapped resource. They are the connection to the town’s past and they very often have a better understanding of what’s best for the town’s future. It’s our duty to look after them. It also looks after their families who won’t have travel elsewhere to keep a connection with their parents/grandparents. I think we should adopt a European model for the ‘Old School Farm’ and have our older folk as a central part of it. Provide independent living for them in one area, have your community gardens / permaculture garden next to them so that they can play a part in looking after it as well as perhaps incorporating school programmes where the school kids come down and work with the retirees. It’s the absolutely perfect position to incorporate all of this. As well as being close to the medical centres which could also branch into the village to provide the elder care so desperately needed. 22. What a wonderful opportunity we get, as a community, to have a say-quite unusual so we all need to get it as right as we can and be as happy as we can be with so many opinions to make the final decision. All the ideas cited on the handout, except for the shopping centre, sound great! As we are all ageing, we need affordable housing for all, as close as possible to town facilities and in this day and age, all housing of course, needs to be energy efficient and in pleasing surroundings. Simple!!! It would be amazing if some clever person could come up with a unique proposal to set an example for other communities who would be envious of our community being able to have its say. Many of us have moved here from elsewhere, mainly the mainland, and love the apparent simplicity of the town (although we all know it to be delightful layers of complexity) so the eco village idea appealed to us as long as it caters for a range of finances. The site seems to lend itself to at least a nature/tree belt down the “gully”, we’d hate to see any of the existing trees felled and no little boxes all in a row made of ticky-tacky please. 23. Firstly thank you for the invitation to submit suggestions for the development of the ‘School Farm’ site. I admire your decision to proceed in a fully consultative manner to involve the community and gather ideas. As a long-time resident of our lovely little town and a former student of Cygnet Area School I welcome this opportunity. I am unable to attend the ‘walk and talk’ session on Sunday so am putting forward some ideas of how I would like to see the land development to benefit our community. 24. With an ageing population in the Cygnet area, I would like to see an Independent Living Units/Retirement Village, over 55’s, model for this site, which could incorporate such things as a community garden, walking tracks etc, all within a landscaped garden area incorporating the current trees/vegetation. As people downsize, this would leave the larger homes in the area available for the younger generation with families. As one ages we need to live surrounded with like minded people of a similar age group, not young children/teenagers, counting out mixed living housing. If this is all too much for the council to handle, perhaps they could sell the land to a Retirement Group, such as, The Baldwin Group, which runs Vaucluse Gardens in Hobart, or Aveo, which operates Derwent Waters Village in Claremont, which is run as a cheaper model affordable for people living on a pension. 25. Cygnet needs a pool! 26. Thanks for putting all of this together. I went to the Health & Wellbeing forum in Huonville last week, on your recommendation. The dominant theme of the forum was easy access to greenspace close to towns. Somewhere with walking and low-impact exercise equipment (perhaps like the exercise equipment at Adventure Bay). A relaxing place for parents with young kids & for the elderly to feel safe & sucure. I know we have Burtons, which is a great play area with bbq & skatepark and Loongana is lovely but is more of a thoroughfare for school buses during the day. I like the idea of a swimming pool but this might be too expensive? The suggestions regarding calming streams, shady seating & fruit & nut trees, with vined walkways made from passionfruit & kiwis are great. Feeding our community while promoting exercise is a good idea. Place for an Eldercare Facility. Ongoing waiting list for access including short term respite care. Recurrent grant funding Commonwealth responsibility. they a have a small kitchen, fridges and space to arrange client distribution. community garden the meal quality delivered can move up a notch. Instead of frozen food prepared in Cambridge the food can be local and fresh. Ready access for consultation and if necessary emergency response. I would suggest that posing this question without considerable additional information is premature to say the least.  What is the current zoning of the land? return on the land with minimal or no ongoing operating and maintenance costs? stormwater systems, street lighting, etc. upgrading, not just local to the Old School Farm site? driver/pedestrian safety in an already congested Mary Street?  Will the State Government facilitate the planning and development process?  Will the State Government support all and any proposed development on the site? infrastructure, maintenance of this additional infrastructure and additional services? permanent full time Fire Service depending on the style of development? to the provision of public housing, aged care facilities, etc? State Government make provision of additional school facilities and staff? to include any additional senior school students having to travel to Hobart.  Is the current water supply system capable of providing additional water? and maintenance costs of the water supply system? handling any and all styles of development? and maintenance costs of the sewage treatment system? operating and maintenance costs of the electrical reticulation system?  Will the current NBN system cope with any and all styles of development?  Does the Federal Government need input in respect of the provision of NBN services?  Has the site been inspected for protected flora and fauna?  Will the various significant trees on the site be maintained? The line of least resistance for all parties would be for the Council to sell the land for a single dwelling construction with the purchaser to meet all development costs. 31. There has been some discussion today here at xxxxxxxxxx re the above development. we believe it would be in the community interest to keep the land under public ownership. popular comments flowed re the proposal to build a swimming pool facility, which includes an indoor heated pool. Recreational use -swimming fitness, BBQ areas. 32. Unfortunately I could not get to the walk and talk session but went for a walk around late in the afternoon. The site is indeed unique and would be perfect for a Co Housing development of which there are many successful examples throughout the world. Modest and affordable housing for families and retired or single people in a garden setting it would house more people than any normal real estate development. Having had the experience of living in a “Lifestyle” retirement village I would be totally opposed to any proposals for such a development. 33. Sorry I wasn’t able to make the walk yesterday, but I have definite ideas about how the land should be developed in future. I personally know three single mothers with 2-7 children EACH, who have had trouble finding accommodation in or around Cygnet recently. I believe this is due to local landlords becoming greedy as they know it’s a closed market and they can basically name their price – they will all have an abundance of people to take up their leases at no matter the cost, because Cygnet is now so popular due to various personalities now living in the area and spreading the news about how good it is to live here, amongst other reasons. Therefore, firstly, there needs to be some accommodation built for single mothers and their children: – houses large enough for 2-7 children to be accommodated. The other housing areas I believe need attention are places for elderly men and women and IN PARTICULAR, elderly people of LGBTIQ persuasion as they are not catered for anywhere, specifically, in our society. So affordable housing for all of the above groups INCORPORATING green space AND growing space is much needed, in my opinion. There is also a need for a pool in Cygnet, recreational and/or therapeutic. Some people do not have the means to travel to Huonville, Port Huon or Kingston to access public swimming. The only available swimming pools in the area are privately owned pools and are not cheap to access, nor are they particularly accessible. The thing we DO NOT NEED is an accommodation precinct owned by the wealthy who will never cease increasing rents and therefore exclude all of the above mentioned socio-economic groups from being able to access housing. Certainly, if the government now owns the land (and none of your advertising about this issue makes it clear who does own the land), it most definitely should be used to benefit the citizens of Cygnet and not the “landed gentry” or other financial stakeholders. 34. There are some who would like to see Public Housing built on said land. I know that that is “the” topic at present, but I feel that Social Housing should be closer to the city or suburbs that are closer to places like workplaces, hospitals and amenities that would be more useful to them and not making Cygnet full of out-of-work people. An Over 55’s or Individual Living gated complex would be best served there, possibly with a parkland area and paths for all to enjoy. People may decide to “downsize” as they get older and as children leave home but there is nowhere in Cygnet that they can do that now and they may just like to stay here rather than move to another area. Also the area is close to two medical centres, walking distance for those who are able, also to shopping and the pharmacy. A parkland area and paths (green space) would be a welcome place for not only Cygnet residents but for those travelling around our beautiful valley. No Social Housing. 35. We are very new to the area and I note the call for aged care facilities; however the reality of that is a considerable increase in use of infrastructure ie water, sewerage, phone, internet etc. Also the need to procure an appropriate developer who would expect to profit from what is provided. To have an increase in housing for aged care, low income etc would mean dense urban development and minimal use for the general community as a whole. It could add employment, but that depends very much on the level of care provided for occupants. A parkland type development, with extensive walking tracks, which allow people to walk their dogs (limited in town and a known benefit to health, as well as 25% of the population having them), addition of new plantings of trees and native plants, an art walk, or installations, a community food garden (to benefit low income or dense housing occupants as well as seniors who would appreciate the social benefit and a potential amphitheatre or area to host community activities. These may include festivals (Folk Festival and others) that would assist both community and tourism (in an ecological manner), bringing money, work and community together. This development could if finance allowed (State government tourism development, local council funding, community fund raising) also include community buildings that would be for hire (weddings, fetes, weekend market extension on current main street use) and would similarly support bigger community activities such as a festival should it be considered appropriate. None of the above would prevent further development as the town and region mature and could grow with available funding be it State, Council, town sourced or private funding. doors /level access ’storage cupboards at entrance. Example: snug village. Small dwellings with green spaces; energy efficient with solar panels; low toxicity building; water conservation system. Centre of whole development green space with community garden; safe play area. No cars internal access electric buggies (golf buggy style? ); bikes. Mostly small blocks to allow for low cost small dwellings (example unit, 4 Christina Street) available for viewing. Consider ancillary dwellings for larger blocks (example 4 Christina St). Major plantings to be native/food plus companion flowering plants to attract bees & birds (calendula, borage, purple clover). Huon Valley Council has requested development suggestions for a parcel of land in central Cygnet bordered by Frederick, Donohoe, and George Streets and Golden Valley Road. The total area for potential development, excluding the easement owned by the Department of State Growth but including the Council depot in the south-west corner, is approximately 3.7 hectares. Given that the easement, originally proposed as a Cygnet by-pass, is now very unlikely to be developed as a by-pass or road the total area could be 4.2 hectares, ten acres. A large part of the land has mature trees growing on it and is affected by water runoff and areas prone to water saturation. The land is gently sloping, forming a shallow valley from Donohoe and Frederick Streets and Golden Valley Road down to the eastern border (George Street). Discussions with local people clearly indicate that a suburban development in which the land is filled with houses, such as Lourdes Rise or Ranelagh, is not desired and will be strongly opposed. Neither is any development that will cover the land with man-made structures. Suggestions have been proposed to develop the area as parkland. However, it is recognised that there is opposition to this proposal, citing the existence of Loongana Park and Burton’s Reserve, although these have been described in a previous report as inadequate. Although a number of suggestions have been proposed, they are not necessarily mutually exclusive; with creativity and planning, these can coexist to the benefit of Cygnet as a whole and the community that would form in the new development. SC: The original purpose of it was to help educate people of being self sufficient in horticulture, I think it should go back to that where the community and the schools can use it for large scale gardening, so many young people and even older people aren’t sure on gardening or where to begin. A community garden would be perfect. MD: Great idea SC, The ability to grow food is a essential part of life! SMcK: That sounds like a fantastic idea. It would be great for adults who come from the city who want to learn how to grow veggies. 39. Regarding use of the land, I think Cygnet needs a Pay-for-use shower. 41. Think this land should be used for affordable housing, with a mix of for sale and rental. It is ideal for older people or those who don’t have a car, being in walking distance of all Cygnet amenities. The aim should not be to squeeze in as many dwellings as possible, nor to have every dwelling fenced off. The ideal would be some cluster housing with some shared space, “allotment” patches for food gardening and a small meeting room for hire or community events. It should not be just for older people, but for a mix of ages, but not too many fenced off properties suitable for small children. A small aged care place would fit in too. 42. Definitely no shopping centre, carpark or larger than 1 storey infrastructure. The view of the little valley here from the road west up tp Golden Valley is peaceful, green and a breath of rural fresh air, linking downtown Cygnet to the surrounding farmlands and bush. It would be a huge mistake to build inappropriate 2- or more storey developments in this 1-storey area. I would support an eco-village, community garden, parkland, retirement village or low-cost housing as long as the above characteristics are preserved. An access walking track and green space could be developed along the intermittent creek, linking with roads to the west of the site. Identify Developmental space for future expanding Health Service needs. Access off George St. Eg Community Health- Dental, Child Health services, Mental Health, Rehab. Retain as green space until funds available. Network of wide accessible, well lit pathways to connect units to other facilities and to low impact exercise areas. For use by individuals or groups for rehab exercises . Restricted access to bicycles, skateboards and 2 wheel scooters for safety concerns. Construction of Community Hall with rooms available for Community groups to conduct meetings, activities, educational and exercise programs. Creation of low impact gardens, scented gardens and open cultural spaces. 45. This consultation by TCA is great for Cygnet because it provides an opportunity to suggest develop something very special and innovative. Any development on the site should take into account future needs of the area and should be as environmentally friendly as possible, while providing for housing, gardens and park areas – and perhaps even a community centre. This site has the potential to make Cygnet a showcase for sustainable building and landscaping. The nature of the housing needs broad discussion – it should be inclusive with small dwellings and as much common open space with pathways as feasible. The design should be built on the principles of water sensitive urban design (WSUD), with as much of the site as possible having permeable surfaces (rather than concrete), and the existing waterways enhanced with native vegetation. 1. Small Housing Development: I have recently heard from COTA (Council on the Ageing) that there are waiting lists for access to suitable accommodation for elderly people throughout Tasmania. Therefore I would suggest that small houses or units, which will provide independent living for older people, should be built on this site in order to assist in reducing these waiting lists. This is particularly important for Cygnet because there is already concern about the ageing population and there are already a number of people who would like to downsize their homes but can’t because they don’t want to leave Cygnet and there is nowhere suitable in Cygnet for them to go. The Old School Farm site is perfectly situated for such a development, within easy walking distance of two medical centres and the local shops. Older people living in accessible accommodation would also provide jobs for younger residents and will not be competing for jobs themselves. The units should be well designed and of a consistent style to ensure that the development enhances the area and, ideally, they should be built sustainably. Open Space: Recent Health and Wellbeing Forums conducted by the Council have emphasised the importance of easily accessed green space in and around the Huon Valley townships. Consequently I would also suggest that at least half of the area should be retained as green space for the benefit of all the people of Cygnet. This will enable the residents to socialise and exercise easily as well as providing additional parkland for Cygnet families. The newly built skateboard park at Burton’s Reserve is an excellent and extremely popular asset for the young people of Cygnet but it has put more pressure on the reserve which may impact the birdlife. This additional parkland at Old School Farm would help to reduce this impact by providing space and facilities for other activities. These could include picnic areas, walking tracks, a community garden and an historical precinct. Such a precinct could include artworks illustrating the history of the area with input from current students at Cygnet Public School. It could even be developed into a tourist attraction as part of an historical walk along Golden Valley Road and around Cygnet. Retaining this green space will also enable the existing mature trees to be preserved and will allow for further planting for the benefit of native birds and animals. 47. I attended the walk and talk on the old school farm grounds and thought it a very interesting space for the community to have input. I would like to see a mix of older people and younger families, so some retirement units but also low cost housing for younger families and single parents.In my mind a couple of houses could be dedicated to refugee families who aspire to settle in a rural environment. A community garden would be essential to bring people together as gardening is a positive way to establish relations with others and with one’s own self and environment. Its healing power should be the heart of the development. Being responsible for the productivity and care of the garden will extend to caring for the grounds and buildings and by extension people.. I think there should be a “shed” type space in the community garden where people can have a cuppa and excess harvested produce could be stored and/or sold. 49. Cygnet is a beautiful little town with a really lovely ambience and community feel about it. We have a higher proportion of people over 55 in the 2016 census than almost anywhere else in the country and I support the call for some sort of retirement village and aged care. As someone else suggested, people who could afford it, could buy in, but it should also be open to people on government pensions who do have limited financial resources. It should have a strong ecological or garden setting and include community gardens so that residents can grow their own produce to help support the facility. Just because older people decide their large parcel of land is getting too much for them, doesn’t mean they become decripit and lose their ability or interest in the community or in the activities they engaged in previously. 50. I am not sure what suggestions have been made, but as a mother of 3 children and young family I think a nice indoor swimming pool, PCYC type of community based gym and youth centre would be fantastic. Would provide employment opportunities and provide some sport activities for young people within community. (MM 12/04/18) Obviously we couldn’t have anything quite as extensive and elaborate as Nerima.However, my idea was that I thought Nerima Gardens was the sort of community initiative that worked well in Qld and could work well in such a central position in Cygnet, in that it is easily accessible to residents and visitors, incorporates extant mature trees, has winding paths that maximise different views and prolong the walk, provides a peaceful place to walk or sit, and lends itself to community involvement both in construction and maintenance. It could provide a space of beauty, usefulness and heritage value into the future for Cygnet.For Cygnet could even incorporate sculptures by local artists dotted around, and murals on the back of fences, and be called the Cygnet Art Garden, and become a place tourists sought to visit.Personally, I would prefer the whole 10 acres to be park, but I have noted the number of pleas for social housing already on the website. I also note that Council would receive no proceeds of sale and no rate payments from a park, as opposed to from housing of some sort. If I had to advocate for part of Old School Farm only, it would be the Golden Valley Rd side of the Farm site so as to protect and preserve the mature trees there, in particular the two conifers, which I’m told are rare. Rough boundary suggestions only. I have no experience in planning, nor am I good at costing landscaping. A landscaping plan by a kind landscaper with park experience? Volunteer construction, hopefully with Council contribution. (It doesn’t have to be constructed overnight, and could be an ongoing project as funds and materials become available.) Labour and materials including plant tube stock to be contributed by Cygnet residents, as well as school children and the usual community groups that do so much for our township. Maintenance: Volunteer labour and secure “gold coin” metal boxes at intervals in the park asking for contributions to upkeep. An educational component by school children providing some occasional labour? The usual cake stalls, quiz nights etc to raise funds. As far as funding generally, I imagine that others in the community could have useful and realistic suggestions and planning experience. AREA 3 – 8 dwellings designed as appropriate sustainable housing to be sold off the plan and/or as co-housing to raise funding for other infrastructure on the site. AREA 4 – 11 affordable housing units for sale or rent as affordable housing under Community Land Trust model (or similar), plus 3 buildings for accommodation for visitors to residents on the site. AREA 6 – Council Depot site – potentially contaminated land could provide site for tiny houses with facilities for shared kitchen, public toilets and showers. AREA 7 – Central area for public access with existing native vegetation, walkways throughout, a covered circular structure as a community meeting space (for pop-up stalls etc), community gardens as requested by community groups and additional landscaping in native and exotic plantings including food plants, including enhanced water features such as potential creeks and a pond. The following suggestions are consistent with the principles of a circular economy, including use of as many local materials and skills as possible. All housing to be solar passive, sustainable and built by local trades using local materials where feasible, with training components for local people. All housing to include solar electricity generation with microgrids, connected to the mains supply, as appropriate. Landscaping to include existing native vegetation with walkways throughout and additional landscaping in native and exotic plantings including food plants. Design to be based on water sensitive principles, to include as few non-permeable surfaces as feasible and water collected off roofs to be used onsite. The dwelling numbers for each complex are indicative only and to be determined when formal plans are developed. No roads through the site but emergency vehicle access within each housing complex and with carports at each of the four road access points close to the housing complexes. Minimal fencing, especially not high fences between houses. 54. (BS 11/04/18) What about something like this? The talking points contained here: Healthy Parks – Healthy People re green space are applicable not just to cities but to smaller urban areas also. What will Cygnet look like in 25 or 35 years from now? What might constitute a lasting and valuable legacy from the current generation to the next? 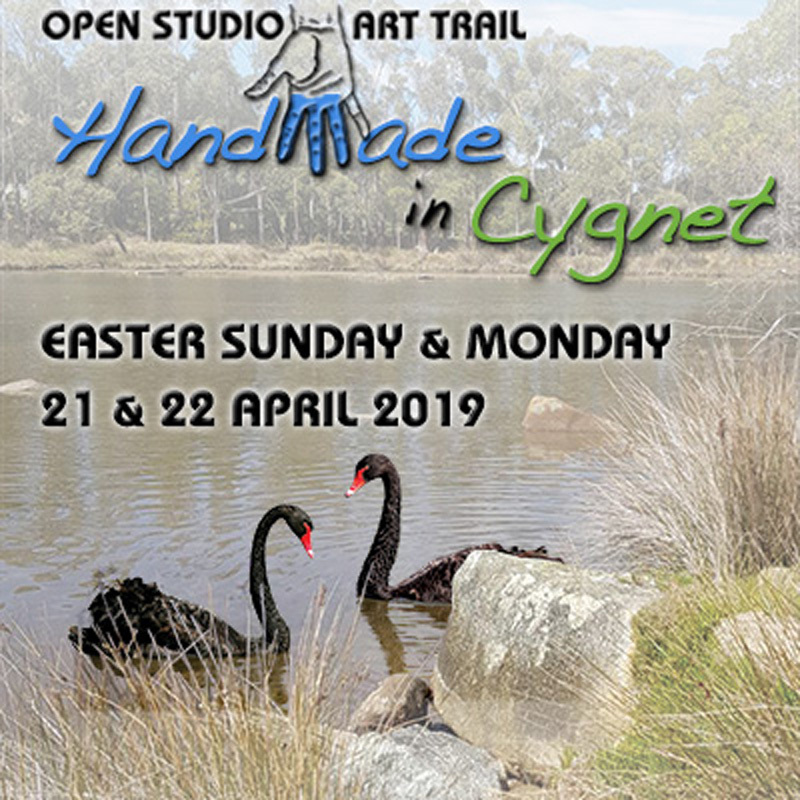 Can Cygnet perhaps arrive at a win/win solution that provides attractive, affordable, appropriate and liveable accommodation in harmony with open space/gardens/walking tracks and or space for recreational and cultural activities and festivals. Example of a Californian eco-village development. Sorry I am late with my comments about the Old School Farm land – thank you so much for coordinating the process, a great opportunity for real community input. I support the ideas put forward by many others of having affordable inter-generational housing which has good sustainable design features (ie does not look like a new high density housing development and has solar power, rainwater tanks etc). In this precinct I think it is also important to keep a lot of common green space for community recreation and food growing. I also agree with the comments about no shopping centre or parking area. More than 50 submissions were on display between 10am and 2 pm on Sunday 6th May in the Cygnet Town Hall Supper Room. If you click RESULTS you will be get the full details of this second round of consultation. NOTE: this PDF document is nearly 12MB so it will take some time to download.